How do you protect personal data? Last week, Equifax, one of three major consumer credit reporting agencies, was hacked. The New York Times reported the company had data on more than 820 million consumers and more than 91 million businesses worldwide. Estimates suggest 143 million Americans may have been affected. If blockchain applications are successful, it may become easier to keep personal data safe online. 1) Sign up for identity protection services. We buy life insurance, health insurance, car insurance and now the time has come to add “Identity Protection Insurance” to our protection portfolio. Being proactive and not reactive in securing your identity is essential. 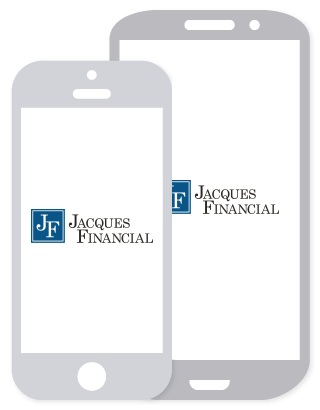 Jacques Financial partnered with IdentityForce to offer identity protection and credit monitoring services. Click HERE for more information about IdentityForce. 2) Continuously monitor your bank and credit card accounts for any suspicious charges and activity. Set "Alerts" on your bank and credit card accounts that will email or text you when a certain type of transaction has occurred. Receive an alert any time a purchase over a certain dollar amount has been made. Receive an alert any time an online or phone order has been made. 3) Change your passwords for any and all online accounts every three months (bank, credit cards, social media, investment, airline loyalty, hotels, etc). Use eight (8) or more characters (the longer the better). Use a combination of uppercase letters, lowercase letters, numbers AND symbols. Setup a unique password for each account or website. Do not reuse old passwords. Do not use complete or known words. Do not use personal information such as names, birthdates, addresses, etc. 4) Ignore unsolicited phone calls and emails and do not provide any type of personal information after receipt of an unsolicited email or phone call. Scammers will use news of big data breaches to conduct "phishing" scams asking individuals to supply personal information to help "repair" and "protect" their accounts. Do not fall victim to these emails. If you receive an unsolicited email or phone call requesting details or confirmation of personal information, DO NOT provide any information. Best practices would be to contact the organization making the requests from numbers and emails you know to be correct and accurate. 5) Enable two-factor authentication for any website that provides this security feature. Last week, the aftermath of Hurricane Harvey and potency of Hurricane Irma dominated hearts and minds, but there were some diversions and some welcome news, too. The NFL kicked off its 2017 season with the Chiefs’ win over the Patriots. The men’s U.S. soccer team tied Honduras to stay in the running for a World Cup spot. And, Sloane Stephens made the jump from 957th best on the women’s tennis tour to U.S. Open Champion. Also, last week, President Trump signed a bipartisan bill authorizing relief for victims of Hurricane Harvey. The damage from Harvey has been estimated at about $50 billion, reported Yahoo! Finance, and the damage from Hurricane Irma may be even greater.